Beard dye isn’t just for older men looking for cover up gray spots. Beard maintenance is important for men of all ages, and the color of your beard is just as essential as proper ﻿﻿﻿﻿﻿﻿trimming ﻿﻿﻿﻿﻿﻿and conditioning. And luckily, with a little help and advice from us, it doesn’t have to be difficult to get (and keep!) your beard exactly the color that is most flattering to you. In addition to keeping gray at bay, dye can be used to cover blonde or red hairs that don’t match the rest of the hair on your beard,eyebrows, or the hair on your head. ​What’s more, dyeing can even make a sparse beard appear thicker, because darker hairs appear thicker to the naked eye, while lighter hairs appear finer. ​On the other hand, you can go for something more unconventional by dyeing or highlighting your beard with a louder color, like blue or purple (fortunately there are temporary dyes for this purpose, in case you want to be creative without committing fully to embracing your wild side). If you’re still unsure of whether or not you should dye your beard, You Tuber Eric Bandholz has a fairly in-depth video that tackles questions such as; which dyes are best suited for tackling beard health, rocking a blonde beard, and the age-old question of whether you should embrace the gray (since silver foxes are a real phenomenon) or get rid of it. 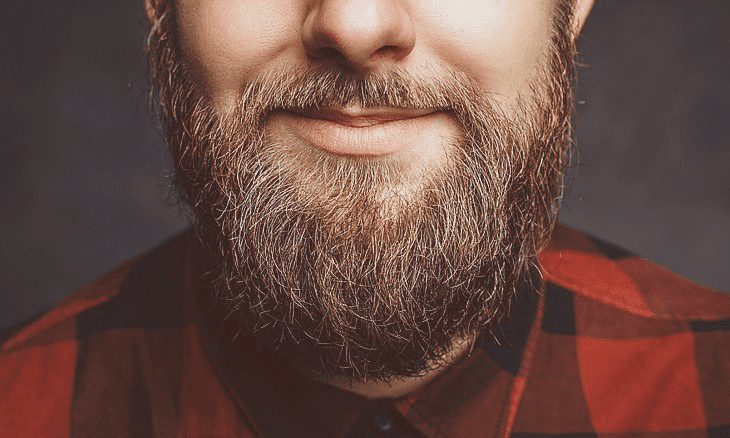 ​Of course, whether you decide to go with a permanent, semi-permanent, or temporary dye job, before you dive right in to choosing a brand and color, there’s a lot of essential information to understand about dyeing your beard. If you want to dye your beard, you should understand the science of how dyes work. Most permanent chemical hair dyes work by ﻿﻿﻿﻿﻿﻿﻿﻿﻿﻿﻿﻿penetrating the follicle to add the pigment, which then reacts with the melanin that’s already present in your hair. There are two steps here, normally involving two different chemicals (ammonia and peroxide). First, your natural base hair color is lightened. Then, the new tone or color is added. The reaction causes the molecules in the dye to expand to a size that essentially lodges them into the cortex of your cuticle, which is why they cannot be washed out. Though they will never wash out, permanent dyes can sometimes fade over time. And of course, as your hair grows, the new growth will not be affected by the dye. Thus, your roots will be visible. In order to prevent the unkempt look of your roots not matching the rest of your hair, you will have to touch up the roots with your chosen dye every few weeks, depending on how fast your hair grows. The more drastic the color change, the more noticeable your roots will be, and thus the more frequently you may have to re-dye your roots. Temporary dyes work by simply coating each hair to alter the color, which is why they don't last as long. They contain neither ammonia nor peroxide, which permanent dyes do. This makes it much gentler on your hair, but the color will fade away after only a few washes. There are also dyes that lie somewhere on the spectrum of permanence between temporary and permanent. These are called semi- or demi-permanent dyes. They contain peroxide, but not ammonia, which means that they cannot be used to lighten one’s hair. Semi- or demi-permanent dye is best used for enhancing your beard’s natural color or masking grays rather than changing the color of your beard entirely. These dyes wash out after varying numbers of washes, depending on the formula. Basically the reason for this is that, depending on the chemicals used, they penetrate the cortex to varying amounts and the molecules react to become varying sizes (never penetrating as deeply or becoming as large as the molecules used in permanent dyes). 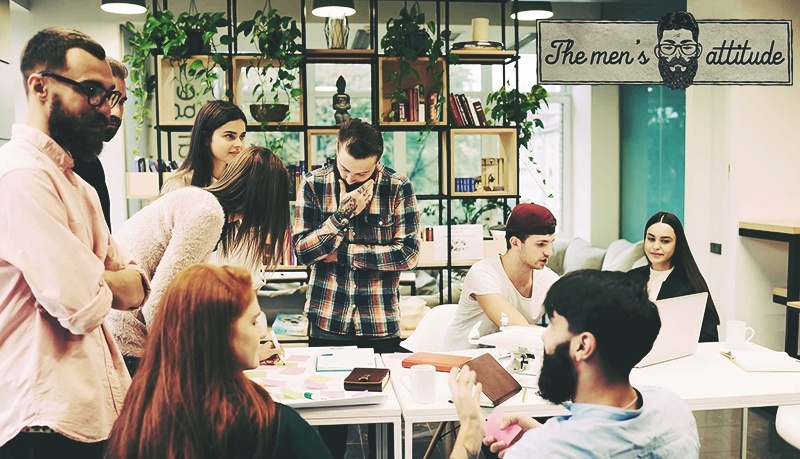 It is important to note that the nature of permanent or semi-permanent chemical hair dye (being that it reacts with the melanin in your hair) means that each dye job will be unique for each person. In other words, the color that a dye appears on the beard of the model on the dye’s box, or on the beard of your friend who swears by it, won’t be exactly the same as it appears on your unique beard. Further, adding dye to beard that has already been dyed can also have an effect on the final result. Another thing that you should keep in mind is that the texture and condition of your beard hair (thick or thin, oily or dry) can influence how the dye reacts. Your beard hair has a very different texture than the hair on your head, so if you have dyed your head before and are looking to try out a beard dye for the first time, keep in mind that the two are separate beasts entirely! Dyes that work by penetrating the follicle (thus anything other than temporary dye) will react differently to thick hair than they will with thin hair. Further, the amount of natural oils in your beard can also affect the absorption process. Many people recommend that you avoid washing your beard for two days before dyeing, claiming that the buildup of natural oils will help the dye set. Others claim those oils decrease the quality of the dye. Ultimately, it varies dye-to-dye. Follow the instructions on the box for best results. Finally, different hair dyes require different amounts of labor to use. Most dyes come in cream, liquid/gel, or powder forms. 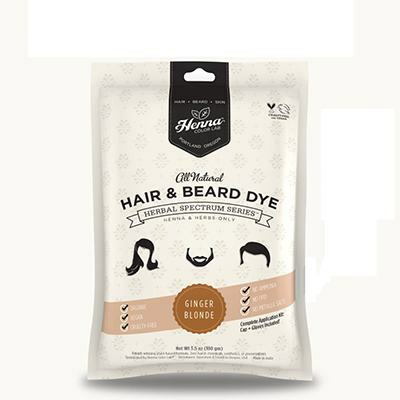 Certain dyes will require you to mix the dye in with a cream base that is then applied to the beard. Liquid dyes are effective in that little to no set-up is required on your part, and it is very easy to coat all of your hairs evenly. The downsides are that it can be quite messy, and often times once you open the bottle it cannot be saved and reused. Cream dyes, on the other hand, allows you to have more control over which sections of your beard you dye. Thus, it is very ideal for touch-ups on your roots. Powder dye often requires you to mix it with a base (often water) which allows you to use only the amount you need. It is in that way a more economical option if you require frequent touch-ups to your roots, though it is perhaps the most labor-intensive of the three options. ​Follow the instructions on the box for best results. ​Any color change to your hair requires chemicals of some sort, so do not be fooled into thinking that natural or organic dyes are chemical-free. The real difference lies in the types of chemicals used. As we discussed, many dyes include ammonia and/or peroxide, as well as the color pigment. However, ammonia and peroxide can both be quite irritating to one’s skin, especially if said skin is ordinarily sensitive. The use of these chemicals may also cause damage to one’s hair if they are used frequently over a long period of time. The most important thing to consider when choosing between an all-natural or chemically-based dye is your skin sensitivity. All-natural options without these two harsh chemicals may thus be more suitable for those with sensitive skin. If you’ve had issues in the past with dyes or any skin products, consider a dye made from plant extracts or other natural materials (Grizzly Mountain and Henna Color Lab are both all-natural and free of chemical additives). If you know from past experiences that certain artificially-produced chemical ingredients will irritate your skin, check the ingredients on the packaging to make sure they’re not present in your dye. Whether you have sensitive skin or not, it's recommended that you try a spot treatment before fully applying a dye. ​Skin sensitivities can change over time, and it may also depend on the specific dye or what other treatments you have applied to your beard. To ensure that nothing goes wrong, try a spot treatment by applying a tiny amount in a thin layer on a small patch of skin and wait 24-48 hours. Mild redness and a light (but not painful) burning sensation are normal. If a more severe reaction occurs, consider trying another dye. ​It’s also important to note that the skin on your face may be more sensitive than the skin on other parts of your body. Be aware of this when you do a spot treatment, ​and choose a spot with similar texture and toughness to your cheek and jawline. And remember, no beard is worth severe skin irritation, and the redness that such irritation can bring about is not a good look! You should be able to find a dye that will work for your skin and hair type. Don't force anything. Before looking for a dye, you need to consider what kind of results you want. ​Are you tryi​​​​ng to recolor your entire beard a single, uniform shade? ​Do you want something subtler like a slightly different tint? ​Are you just treating gray spots? ​ Do you want to keep or even add different shades or highlights? ​How long do you want the coloring to last? ​Do you want an unconventional color like blue? The best beard dye for you will depend entirely on your answers to these questions. ​Some dyes are intended to be applied to the entire beard. The result, in theory, is a uniform color throughout, without any streaks or highlights appearing on hairs that may naturally be a bit lighter. These dyes are often permanent, so choosing the right color is especially important if this is the approach you choose. A beard color that is poorly matched with your hair or is otherwise drastically different from what you had before will make the color seem unnatural, and your beard will stick out like a sore thumb. Dyes made for a full recolor are often the strongest and are applied throughout your whole beard, so there’s plenty of room for things to go wrong if you don’t do your homework. You may want to do a strand test (basically the same technique as a spot test, except on a small patch of your beard rather than your skin) so as to make 100% sure that you like the color you’ve chosen and how it appears on your unique hair. Full recoloring with permanent dye can be used to make your hair lighter or darker, and is therefore a good option for someone who is looking to drastically revamp their appearance, or cover a lot of gray hairs or an otherwise unevenly colored beard. It should be noted that lightening one’s hair often requires more chemicals and more time to let those chemicals set. Depending on how much lighter you want to make your beard, professional bleaching may be recommended (for example, if you are going from black to a blond or light brown). Darkening the hair color is often much easier to do, and is a great option for anyone who wants to make their beard appear thicker. ​Finding the right color is a process. You should be sure to match the color to your eyebrow and head hair colors, so as not to have the end result looking obviously unnatural. Avoid over-applying, and definitely do not rush the process. These dyes are designed to only be applied to a few small areas of your beard where the hair is a different color than the rest. Cream dyes with specific applicators are best for getting at these small areas in a controlled and intentional way. ​The most common use of spot treatment dye is to color gray hair the same as the rest of your beard. However, it’s common to have red or blonde hairs show up in a brown or black beard, and spot treatment works just as well for working those out. ​Spot treatments are also used to tint other areas of facial hair such as sideburns or eyebrows. However, when dyeing these areas where the skin may be more sensitive, it is especially important to do a spot test to avoid painful and unsightly irritation. Dyes used for tinting are often semi-permanent or temporary; they don’t do as much to chemically alter the color of your hair. Thus,the major difference between dyes for tinting and dyes for a full recoloring is subtlety. For example, if you have brown hair but your beard happens to have a more reddish tint, you can use this type of dye to help match the colors without a drastic change. If you use a dye intended for tinting, and you find it does little to alter your beard color, you may want to try a slightly darker shade. No matter which kind of dye you choose, make sure to fully read the instructions before you begin. The results may last for several weeks, so it’s worth it to take a few extra minutes to make sure you know exactly what you’re doing before you reach the point of no return. Easy to use brush-in gel. Great for covering gray spots. ​Great for darkening beard to give it a thicker appearance. ​​Ammonia free formula makes it less damaging to hair. 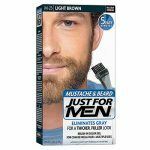 ​Just For Men is by far the most popular and recognized brand of chemical beard dye. This dye is applied using a non-drip brush, which allows you to quickly treat your beard in just a few minutes. Unlike some of the other dyes out there, it doesn’t require you to mix in powder, so the prep is a bit easier, and probably less messy. While there is some prep-work involved, the mixing tray provided in the box makes it quick and easy. The combine-it-yourself gel-formula allows you to use what you need and save what you don’t, making it an economical option as well as a fast and convenient one. ​Great for a subtle change. ​Can be used on other hair. 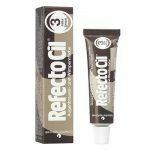 ​Technically, RefectoCil is for eyebrows and eyelashes, but it will work well on beards too. 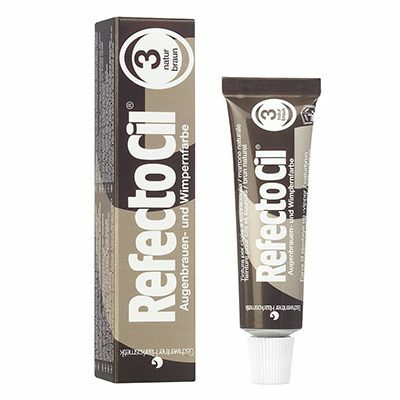 ​The RefectoCil website even has an informational video on how to apply this cream-based dye to beards. It is a dye that is in fact often used in professional salons to dye hair around sensitive areas. It’s more for tinting than dying, so if you’re trying to totally do away with gray or white hairs, you might want to try something else. But if you’re a brown-haired guy whose beard is just a bit too reddish for your taste, you can use it tint your beard to a truer brown. It’s also great for a simple spot treatment. ​This dye is also quite easy to use; the only thing you have to do is mix drops of the dye into the cream base. You then apply it by working it into your beard. The dye lasts about six weeks. ​​Easy, precise application is quick and natural-looking. ​​Cosmetic-grade formula does not irritate skin. ​Water-resistant formula applies in seconds and dries easily. ​​​Semi-permanent formula lasts 8-12 hours, making re-application a daily task. 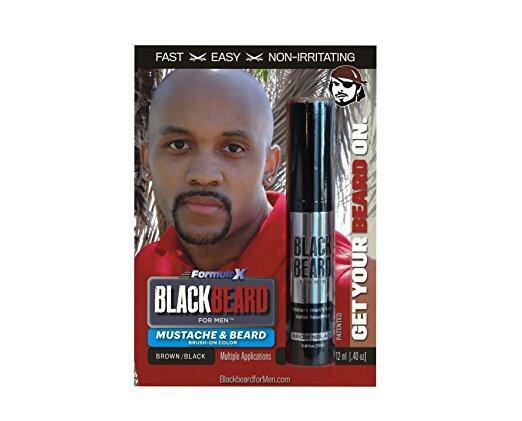 ​Blackbeard for Men X is an easy way for you to color your beard without resorting to tricky, messy dyes. It isn’t a dye in that it doesn’t chemically alter the natural color of your hair, rather temporarily coating each individual strand to give you a bold and fresh look that isn’t as harmful to your natural hair or skin. However, that means that it does wash out and thus needs to be reapplied daily, or whenever you’re looking to give your beard that extra boost of color. 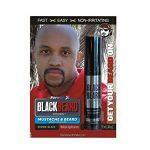 Blackbeard for Men's applicator allows you to precisely apply color to fill in, touch up, and cover greys. The small and maneuverable brush makes it perfect for smaller areas of hair, and shorter beards. You can fill in as much or as little as you like, and color your beard fully or leave some grey for a more natural, but still polished, look. 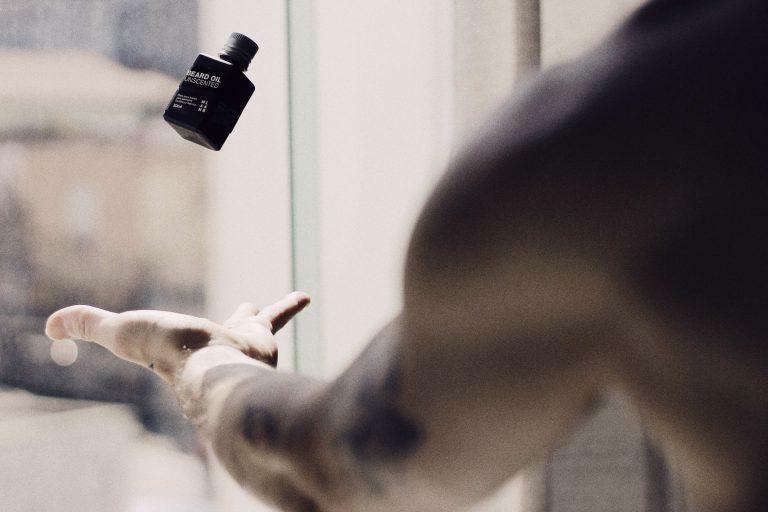 Unlike traditional dyes, which can contain harsh chemicals that can cause irritation or adverse reaction, Blackbeard for Men is a cosmetic product that is lab-tested to be safe and hypoallergenic, even for sensitive skin. ​With four color options available (Brown/Auburn, Dark Brown, Brown-black, and Black), everyone should be able to find an option that will work for them. ​​Free of harsh chemicals found in other permanent dyes; good for sensitive skin. ​Hard to predict the outcome due to the way the dye works. ​​Powder-based, setup can be messy. ​Grizzly Mountain makes an organic dye made entirely from natural plant extracts and contains no added chemicals. It comes as an herbal powder, that you then mix with hot water until it is the right consistency (follow the directions on the packaging). You then work it thickly throughout your beard, leave it on for between ten and thirty minutes (thicker beards require more time for the dye to set), and then rinse it off to see the result! 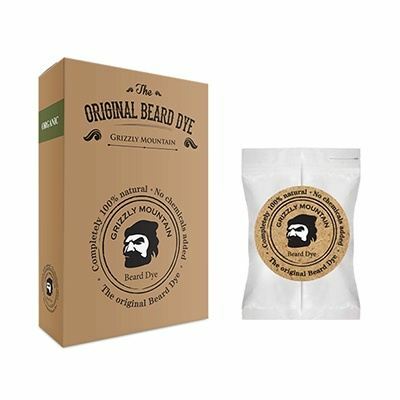 Grizzly Mountain Beard Dye dyes the outside of the follicle, rather than penetrating and dyeing from within. Despite the fact that it doesn’t chemically penetrate to each cuticle cortex, the coloring is permanent. The resulting color is based on the coarseness of each hair. For example, if you’re using their brown dye, darker and coarser hairs could end up a darker brown, while white or gray hairs might become blonde or light brown. The result won’t be perfectly uniform, but it might look more natural than, say, a uniform jet black, particularly if the hair on your head has different shades throughout. 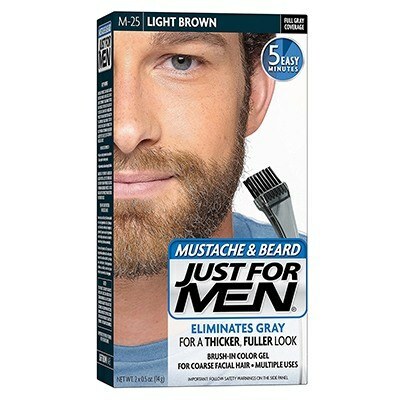 This dye is perfect for men who are beginning to see some gray, but are hesitant to go “all out” on a uniform color for fear of looking unnatural. It's also the ideal dye for guys who embrace their natural highlights. Finally, it's an excellent choice for those with sensitive skin, since it doesn’t contain chemical additives that may cause irritation. ​​​​Wider color selection (including some out-there ones like indigo and wine red). ​Can be used on other types of hair. ​​Powder-based, so it can be messy. ​Takes longer to set after being applied. ​​Can’t be used to lighten hair. ​Henna Color Lab is a Portland-based company that creates natural hair dyes using the henna plant. Yup, it’s the same stuff used to make henna tattoos. The plant is sourced from award-winning growers in its native India. This dye comes as a powder made with all natural ingredients, is vegan, and is cruelty free. Henna Color Lab also offers one of the larger selections of colors. In addition to natural colors like brown and black, you can go for something louder like indigo or wine red. However, the lack of chemicals like ammonia and peroxide mean that you can’t use Henna Color Lab dye to lighten your hair. ​Whether you have sensitive skin or not, this is a great choice if you want to incorporate a more adventurous color​, and if you have an inclination towards being environment- and animal-friendly. The powder is mixed with water before applying, so you can use only what you need and save the rest, though setup can be a bit messy and more labor-intensive than the simple gel-based dyes. ​Don't dye your beard right before an important event. If something goes wrong, it's a good idea to give yourself some time to either fix a mistake, or to get rid of excess dye. ​Keep a towel handy. These dyes will stain more than just your beard. Keep precious items like clothes out of the way when applying and cleaning up dye. If you are supposed to rinse the excess dye out, make sure to be very thorough, as it can bleed onto your clothes or bed sheets if you don’t get it all out. ​Take your time. You don't want to find out that you used twice as much dye as you were supposed to after you've already applied it. Read the instructions! ​​On that note, start small. Use less dye than you think you need at first, so as to avoid an extreme and unnatural looking result. It is a lot easier to dye it again to achieve the desired color change than to undo what you’ve already done! ​​​If you are looking to dye your beard a crazy out-there color, we would recommend starting out with a temporary dye that will wash out, so that you can get a feel for the look before totally committing to it. ​​​​Finally, if you are intending to make a permanent and drastic color change (for example from blonde to dark brown or black), take it incrementally. Start with a lighter dye than you think you want, and then work from there. Changing your beard color too drastically all at once can look unnatural, and it is a lot harder to make it lighter again if you went too dark. It can take a little bit of time and experimentation to find the beard dye that is right for you. There are two major risks for those dyeing their beards for the first time. First, your skin might not like having dye on it. Second, you might not like having a jet black beard when you were going for something more neutral. The henna-based dye can be used to recolor your entire beard, or could be used for spot treatment. You could go all out and dye your beard blue, or you could just add a few colorful streaks. This is a versatile dye that should suit the needs of most men, making it a great choice for those unfamiliar with beard dyes, as well as those who want to try something different.As it doesn’t contain the harsh chemicals of other dyes, it is safe to use again and again. Each time you dye your beard with the same shade of henna dye, it will come in a little bit darker. This way, you can make the transition to your new look more gradual and natural! Dyeing your beard is a great way to spice up your look, or to keep yourself looking fresh and ageless. 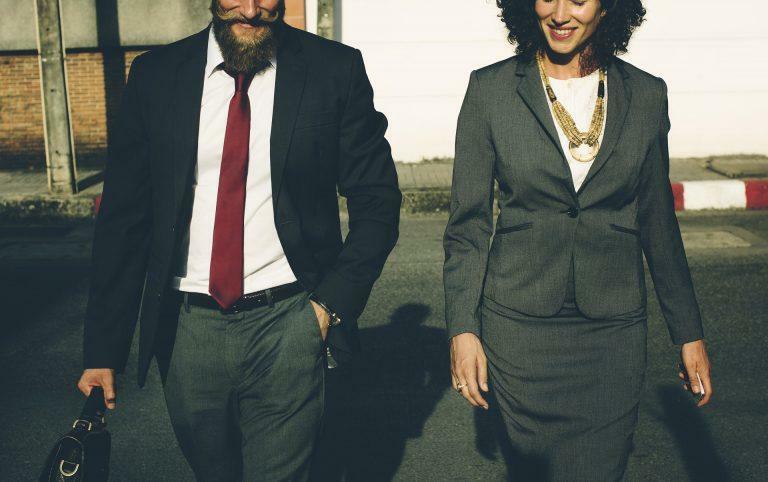 Whether you’re trying out a whole new look, or just trying to keep those gray hairs in check, maintaining the color of your beard is as essential to your overall look as is keeping it trimmed and well-groomed. With such a wide variety of types of dyes, colors, and brands out there, it is really important that you do your research ahead of time. Take the time to look at reviews of different products, and read the instructions carefully before ever applying a new beard dye. Consider how long you want the color to last, if you want to color your whole beard or just parts of it, how drastic of a color change you are looking for, and the coarseness of your beard. Remember that in addition to color, you have to choose if you want a liquid, gel, or powder-based dye, as well as if you want a temporary, semi- or demi-permanent, or permanent dye. Different types of dye work better for different skin and hair types, as well as for different desired outcomes. ​We hope that this post has helped you get an idea of what you need to do to get the exact beard color and quality you desire! When it comes to getting the best beard dye job, a good rule of them is of course to be bold, but do your homework.